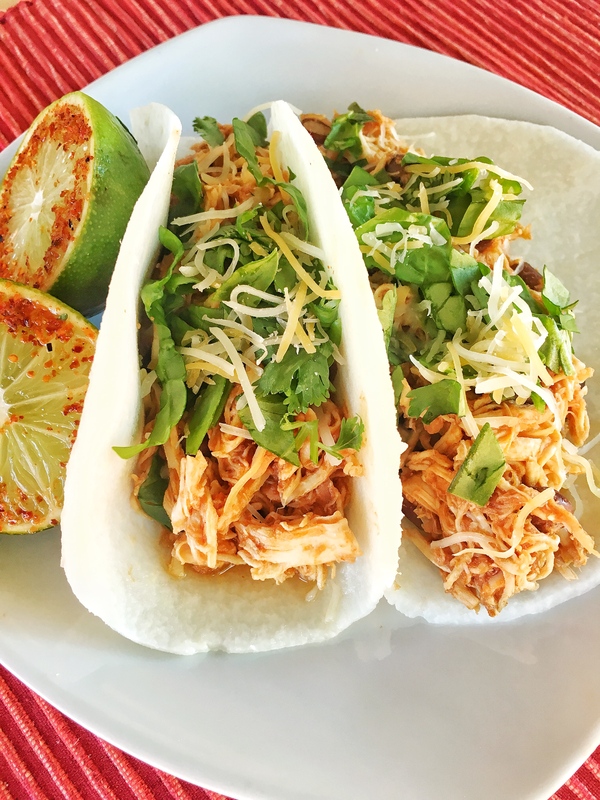 Tacos with a new twist-you won’t believe these jicama tortillas! Robinsbite intern Krista Miller takes the lead on this month’s Recipe Redux. When I was given the challenge to make a summer dish in a slow cooker/Instapot/pressure cooker, I was at a complete loss!! My cooking skills are admittedly minimal and I’ve never used a crockpot before, nor did I grow up eating anything cooked in a crockpot. I’ve always affiliated the crock pot being used during the fall and winter seasons for soups, stews and other heartier foods that keep you warm. But tacos? Once I started researching for this challenge, I realized how multi-functional Slow Cooker/Instant Pot/Pressure Cookers are and how easy and convenient they are to use. This is a huge benefit for someone like me–a novice in the kitchen. 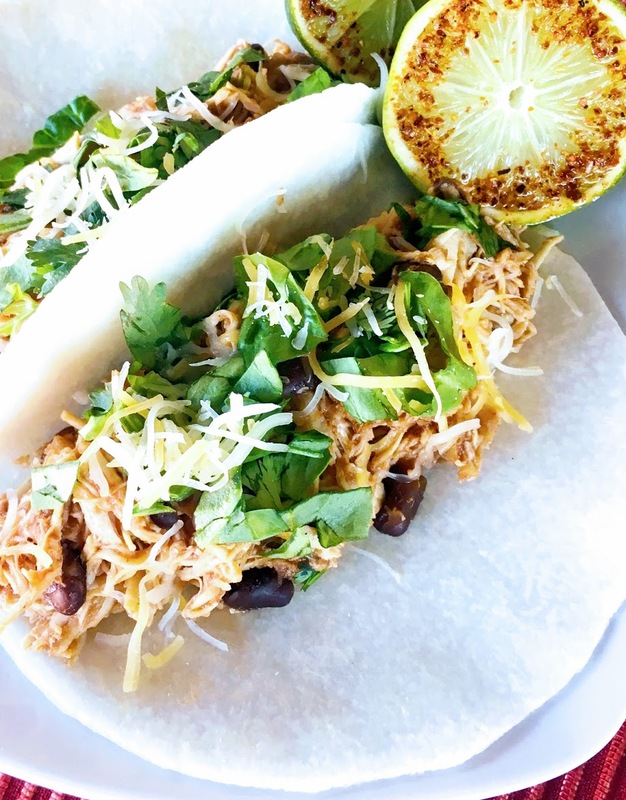 Since I love chicken and eat it at least 4 times a week, I decided to create a chicken and black bean taco recipe, but with a very untraditional twist. I recently came across these jicama tortillas. at our local HEB/Central Market grocery store. Have you ever seen these? Not only are they extremely low calorie (8 calories per tortilla), they are mild in flavor and have a crisp texture. They held up very nicely to my chicken and bean mixture and had a fresh flavor. It was a nice change of pace from traditional tacos. The recipe was so simple-I just tossed the chicken in the crockpot with salsa, taco seasoning and black beans and that was it! By the time I finished my schoolwork and ran a few errands, it was ready. This recipe was a huge success! Not only did my boyfriend love it (we ate it 4 times in a row), Robin created and served her own version of this recipe before I could even finish this post. Instead of tortillas, she served them with chips and made a nacho using the chicken mixture. I couldn’t believe how easy it was and that I’d been missing out using this wonderful invention all these years. The crockpot will definitely make more frequent appearances from now on! Place chicken, beans, salsa and lime juice in a crock pot. Cover with lid and cook on low heat for 4 hours. Remove chicken from crock pot and place on a large cutting board. Shed chicken apart with two forks. Return shredded chicken to the crock pot and keep warm until ready to eat. Once ready to eat, remove chicken with tongs to drain juices before serving in tortillas. Place shredded chicken mixture in each jicama tortilla, top with spinach, cheese and any additional garnishes as desired. This looks amazing! I have never tried jicama and need to find these now! I hope you can find them in your local area!! These jicama “tortillas” are so cool!! I definitely need to try these! Right? I’d only recently seen these and my genius intern decided to take a stab using them—hope you like them! Mmm I can’t wait to try these! These look SO good Robin! 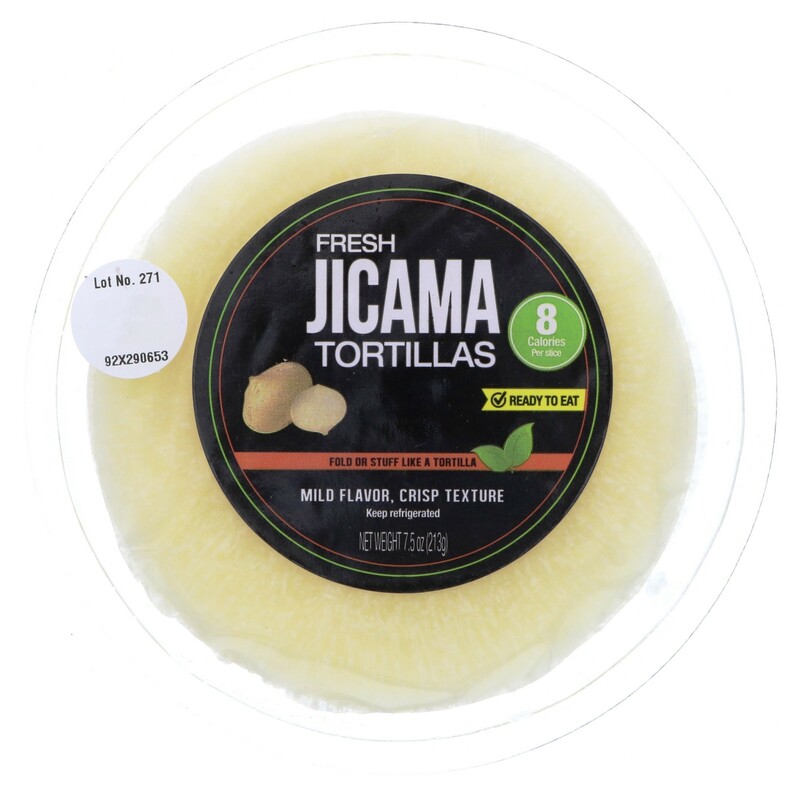 I’ve never heard of jicama tortillas, but totally want to give them a try now! Ohhhh jicama — you don’t see that used very often! Thanks for sharing your creative idea! Hi Jodi! You are very welcome. I’d never seen them before this summer! My super smart intern decided to go for it and came up with this great taco recipe! Right?? EA, have you ever seen them in your area?